The official line is – Natalia of Gatti Fili e Farina challenges us to make a traditional Savarin, complete with soaking syrup and cream filling! We were to follow the Savarin recipe but were allowed to be creative with the soaking syrup and filling, allowing us to come up with some very delicious cakes! 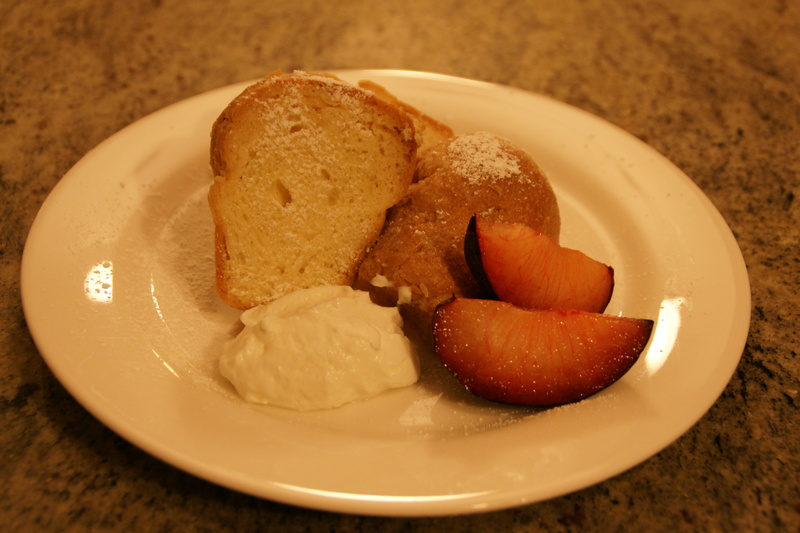 According to Natalia, savarin is a yeasted cake made with the same dough as Rum Baba, which has its controversial origins in the Polish Babka. Apparently, in the eighteen century the recipe traveled with the exiled Polish king Stanislas who once soaked a dried Babka in an alcoholic solution creating what is now known as Baba au Rhum. The original Babka (Christian version) is often baked in a tall ring mold but it is in the Julien brothers’ Patisserie in 1844 that it was baked in the classic Savarin mold (who takes its name from the eclectic lawyer, politician and gastronome Jean Anthelme Brillat-Savarin). Years later thanks to an unknown French cook the Baba traveled to Naples were it is still one of the most popular treat: o’ Babbà! The Savarin ‘hole’ is filled with different creams, or custards and decorated with fruits, candied fruits and so on. Sadly, for a number of reasons, I just wasn’t feeling the love this month. 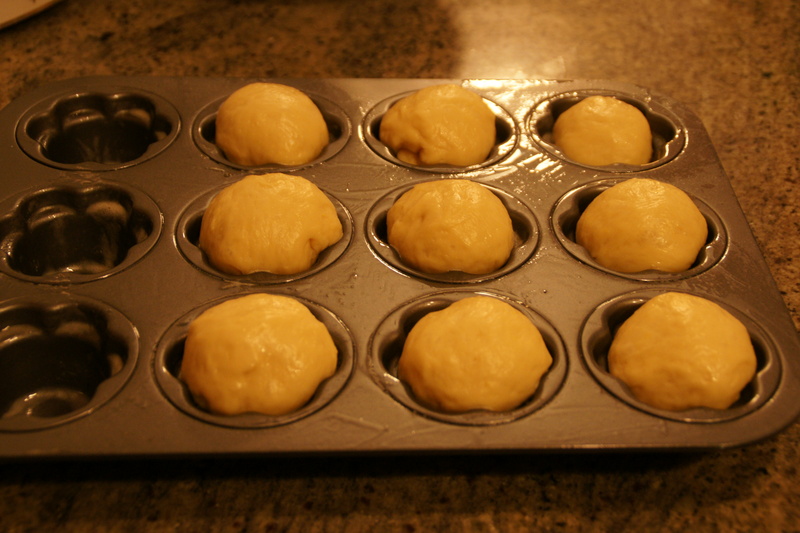 I decided to do a half batch of mini savarins, without stopping to think it through. 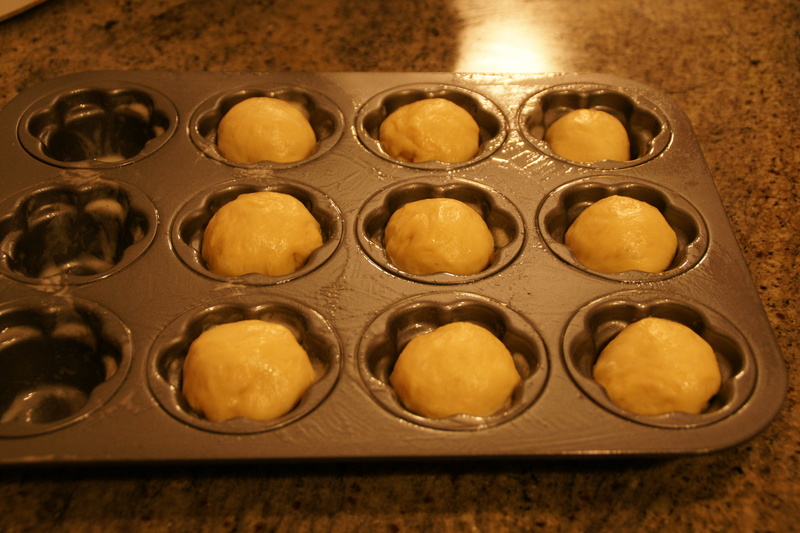 I missed the fact that baking them in a muffin tray meant there would be no holes to fill. I also got distracted while reducing the recipe, so that my calculations were fairly haphazard. 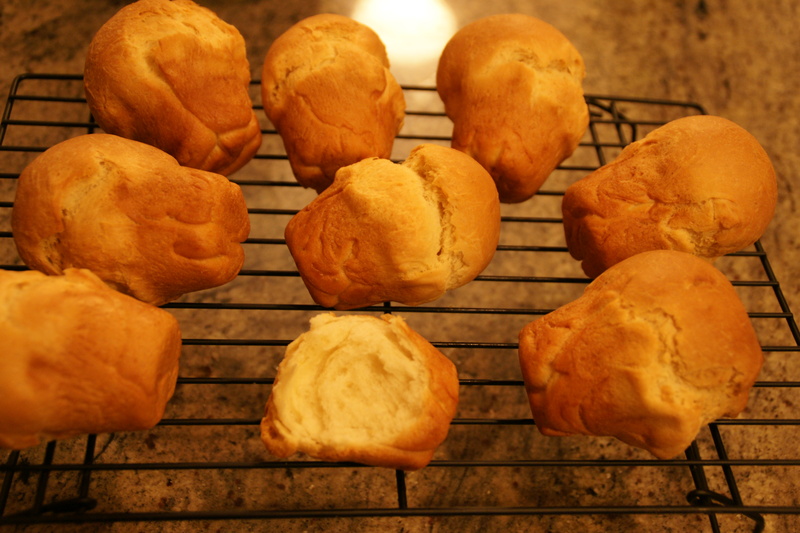 The end result was basically a passable brioche but a pretty poor version of a savarin – sorry Natalia! 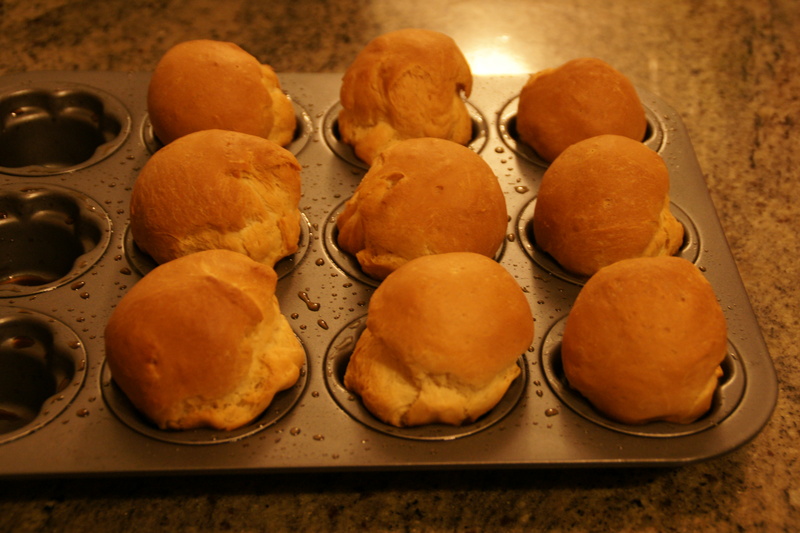 After baking – look at those puffy babies! However, they improved somewhat the next day and the husband agreed to eat a whole one. So we brought it back to passable.